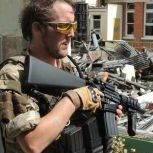 Welcome to Airsoft - Airsoft Sports New Zealand inc.
Will the new gun law, effect airsoft ? where do you pick up hire gear? Hi I'm new to New Zealand and would like to play!